There are many different offshore banking jurisdictions located around the world and it will be up to you and your financial adviser to select the jurisdiction most suited to your needs. 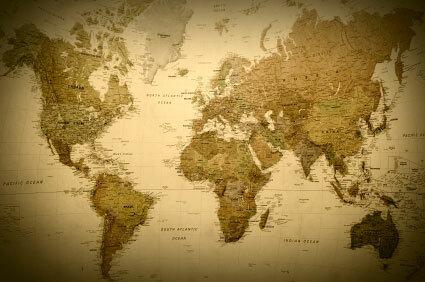 What is an offshore jurisdiction? Offshore jurisdictions are traditionally, but not restricted to, small islands and places that require a much needed revenue stream. They are often close by, either physically or politically, to a much larger and more powerful country (for example the Isle of Man and the British Virgin Islands to the United Kingdom). However, there isn’t always a “big brother, little brother” dynamic; for instance the Islands of the Seychelles have a strong foundation of offshore banking but they aren’t found next to a mainland giant and don’t have an overly strong political connection to a larger country. By definition an offshore jurisdiction is somewhere that a British expat can legally and safely manage their finances and benefit from lesser tax restrictions. Choosing the right jurisdiction for your banking needs will be a highly important financial decision. It isn’t necessary to choose a location closest to your residence. As with high street banks, different offshore banks offer different services and different levels of quality. The United Kingdom actually has three offshore locations surrounding its shores, Jersey, the Isle of Man and Guernsey. All three jurisdictions are known for supplying a high quality service and have long been held in high esteem from both investors and depositors alike. There are many other choices available depending on your personal requirements; within the European mainland there is Luxembourg, Andorra, Switzerland, Lichtenstein and Gibraltar. In the Caribbean there is the Bahamas, the Caymans, the British Virgin Islands and a number of other Islands. Besides being tax friendly, each jurisdiction has a unique legal system and depending on your circumstances and the setup that’s recommended, one or another jurisdiction may be more suitable for you. It’s essential to talk to a financial planner and allow them to select a jurisdiction for you based on your situation and criteria.